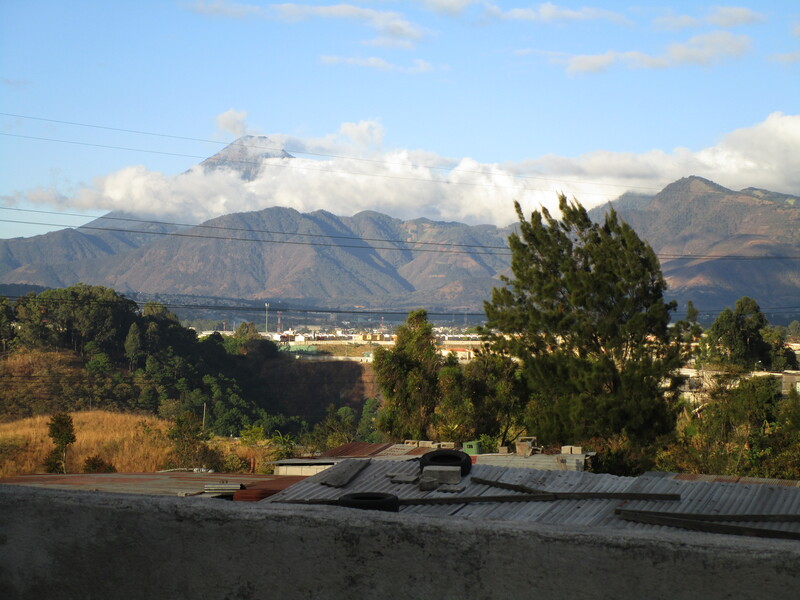 I’ve been home from Guatemala for nearly two months now. I realize I never did any type of “closure” post on this blog, and that makes sense, really, because there hasn’t actually been any “closure.” It was much more just a matter of the departure date arriving, me getting on the airplane, flying back home, and then trying to move on. And now here we are. I have always intended to write some form of a longer reflection piece on the whole experience, though, and here is my attempt at that. These seven months of my life – more so, the children, women, and men I shared them with – deserve to be documented in some way, to be remembered and processed in some form. Two months out, I can think about some aspects of it all with a much stronger sense of clarity. For some of the other aspects, I am still nowhere close, but that is where I will probably always remain. These last few weeks back home have been truly incredible and I am so thankful for that (more on that in later posts; this is certainly not the end of this blog; this is my therapy!). But still, it continues to break my heart to think of all I have left behind. Some days I would give anything to go down to the street to play soccer with Yerquin and Josef; to wrap Ángel up in a hug so tight and listen to him squeal with delight; to spin Jenny around in circles and circles and circles at the bus stop; to lay down next to our garden in the sun and let myself be swooned to sleep by Prince Royce singing in my headphones; to jump on a chicken bus to Antigua. I miss it all, so much. I know that UPAVIM was never meant to be my life forever; that I was just “passing through;” that my departure date was always scheduled. But that does not mean that it still did not become a profound part of my life; it does not mean that a part of me does not continue living there, that a part of my heart and my thoughts are not always still in Guatemala. That all makes attempting this piece of writing all the more emotional for me – emotional and, in a way, discouraging, as I know I will never have the words to truly convey all that I want to say. But still, it is so important to me that I have to at least try. And so here goes. I began this experience fresh out of undergrad; just having finished, a few months prior, a lengthy senior thesis in which I outlined the causes of immigration from Central America to the United States. After seven months of research for that project, a handful of other relevant university courses, and four prior trips to the region, I felt confident on my understanding of the current situation in Central America and the role of the United States in it all. In July of 2014 I could rattle of a decent-sized list of statistics; I could share some alarming facts about the history of U.S. relations with Central America, the root causes of gang violence, the push factors of undocumented migration, and the shortcomings of U.S. immigration law; I could show you some attractive multi-colored graphs and tables that I had compiled tracing the development of these issues over the past four decades. And now, in May of 2015, while I by no means wish to discredit all I learned in my four years of university, I can say now that while I thought I had a clear understanding of the issues of poverty and violence in Central America, I really had no idea. All of the data and theory and bar graphs in the world could never have prepared me for the sights, the sounds, and the emotions of living in a neighborhood that has been deemed a “Red Zone” by the Guatemalan government due to its extraordinarily high rates of violence. All of the books and the articles in the world can never compare to living it; to holding the children; to hugging the women; to feeling the statistics instantaneously being transformed in my mind to names and to faces: names and faces that I now love so deeply. And so, “Lesson One:” I now know a whole lot more about the political and economic state of Central American than I did before. That is fine and good. And as I am more certain than ever that I will be pursuing a career associated with the development of this region, that Lesson is so invaluable. But there are so many other lessons learned over the course of these months that run so much deeper. And for that reason I’ve chosen to frame this “reflection” as a series of those lessons. There are so, so many more than what I have included here. I promise that this is just a beginning. I learned that public bus drivers in Red Zones are some of my greatest heroes. In a neighborhood such as this one, public transportation is in constant threat of danger. Yet the drivers of the buses on the routes that serviced my neighborhood and the surrounding communities would still continue their routes daily despite being so very aware of those threats; they would drive by scenes of violence that had just occurred on a co-worker’s vehicle without even blinking an eye, never seemed to flinch at the danger… I could never fathom how they continued to do it. There are many neighborhoods throughout Central America that have already had to shut down their routes entirely due to the violence; ours, for now, still has buses, and their drivers I admire to my core. I learned that I have to accept just how small I really am. I did not observe any tangible improvements in my seven months in La Esperanza; if anything, the situation there basically just got worse (a similar trend can be seen throughout Central America). And now, I am not physically there, but I know that the violence and the pain and the suffering continue, and though it is all no longer happening right outside my front door, it still touches me. It still occupies so many of my thoughts. It is, in a word, discouraging. Her words chilled me to the bone. One year from now, five years from now, ten years from now: what is going to be said about the young boys that I spent this time working with? Who will they become? How many will go from the beautiful, loving, hilarious children that I fell in love with to being the next victims or the next recruits of these all-powerful gangs? It crushes me thinking this, writing this. But it is the cruel reality of neighborhoods such as these. A woman from the Netherlands arrived to volunteer at UPAVIM in my last few weeks there. She had worked in Reforz for a year eight years ago, and decided to come back for another summer. This was the very truth that she had waiting for her: what had become of those beautiful children she loved eight years ago? Some of what she learned was so extraordinarily heartbreaking. And now I can’t help but wonder: what is going to be waiting for the group of us volunteers eight years from now with these children? I, alone, can do nothing about this. And I can use this sad truth as an excuse to throw in the towel, to turn my back, to give up: or, I can keep going. “It hit me as I walked briskly down a hallway on the mezzanine level at the south side of the Fairmont Hotel: I was willing to do anything. But there was nothing I could do. This realization dropped me midstride. I saw a service stairwell to my right, slipped inside and crumpled onto the rough concrete stair. And I wept in despair for the world I so desperately wanted to save from itself. Then, for the first – and to date, the clearest – time in my life, I heard the voice of God. God said, The world is not yours, not to save or to damn. Only serve the one whose it is. I walked out of the stairwell with a wet face and a peaceful heart” (Wigg-Stevenson, 18). This is not easy to accept, but I have learned that it is so necessary. I will never “save the world.” It is a pretty broken place. But it is still in God’s hands: He is the one with the plan, with the purpose: not me. My job is to trust in Him, to serve Him: this is a work in progress in every sense of the idea, but still, I am trying. I learned just how deep friendship can run. For the dozen or so of us at UPAVIM during this time period, this “volunteer culture,” as we came to call it (thanks, Sarah!) ran so deep. It has taken me two months away to understand just how important these friendships were to my sanity, my optimism, and my overall experience at UPAVIM. It would not have been the same in any way without these other volunteers. Spending two hours picking lice out of another’s hair; bonding over and embracing the lack of showers taken; sharing the details of weird stomach pains; learning that it is possible to operate a friendship and arrange a plan without social media or text messaging; showing love through handmade birthday cards, board games, deserts, elaborate parties, and surprises… or those moments in which we would hear an alarming sound on the street and share just a look, a nod, and/or a shrug, in an unspoken acceptance that some things are better left unsaid and that we should just carry on with our days… and also the common truth that despite how rough our conditions were in La Esperanza, we were all just so content to be there, to be there together, and that for the time being, it was in fact “home:” these are friendships and bonds that can never be duplicated. These are the only dozen people that will ever truly understand what it is that I am writing here, and I am so, so very thankful for that. Love you girls (and Paul!) so deeply and I miss you like crazy. In the aftermath of all of these different journeys and experiences in such a short period of time, I really don’t know who I am, or how to best to carry forward with what I’ve learned from them all and use it for something “good,” or where I should be going next. All that I really know is that there is nothing that inspires me and breaks my heart and motivates me more than all of this, and that has to mean something. Another quote that I adore reads, “Wherever you go becomes a part of you somehow,” by Anita Desai. UPAVIM and La Esperanza will forever be a part of me. All of this time in Latin America, in Spain: a very, very considerable part of me. But now I am physically in Massachusetts, and one of my issues has become: how do I let all of these different sides to myself coexist? Does one win out? Does one necessarily have to “win out”? How does my very confused self fit back into this setting called “home” in which I used to fit just fine? How do I wiggle myself back into these old relationships, these old routines, these old familiarities? How do I retain my grip on these passions and these inspirations that Central America ignites in me although I am no longer physically living them day in and day out? How do I keep myself from forgetting, from growing indifferent? Stay tuned. As of present, I have no idea. These seven months were a front row seat to just how evil the human race is actually capable of being; just how depraved and broken and destroyed this world can get. But so much more than that, though, it was a constant lesson in just how beautiful God’s creation is despite it all: just how good people truly are at their core. I was reminded each and every day that regardless of how dark, hopeless, or broken a situation may be, that there is still good to be found; that God is still with us; that the human spirit is indestructible, despite it all; that with “faith, hope, and love,” the violence and the poverty and the heartbreak and the pain of this world will never be able to truly win out. I have spent the last three years attempting to embrace the Christian faith – attempting, struggling, failing, attempting, struggling, failing, repeat, repeat; I should say – and grappling with how to align my life with its teachings. These seven months included some of the most hopeless, heartbreaking, and terrifying moments of my life, moments that perhaps should have shattered my faith. They actually instead served to show me just how much I do need God, just how necessary that faith is. Without faith, without hope, without love: we have nothing. The evil wins. But if we love one another despite it all, if we continue to hope and to pray for a better tomorrow even when the possibility of that seems so impossible, and if we continue to have faith that God is in control of it all: it can never win. I adore you, Guatemala, forever and always. Thank you. Te adoro, Guatemala, para siempre. Gracias.